A recent report by the National Association of Realtors (NAR) provides a glimpse into the other side of the coin with regard to the recovery of real estate prices in the United States. Home prices have steadily recovered in 2012, but the affordability factor seems to be on a downward trend since 2011. 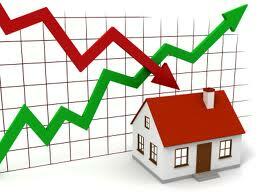 Should this trend continue, the housing recovery may slow down or even stall. Home affordability is an important factor of the housing economy. It is expressed by a ratio that takes the median household income and the effective qualifying income that can be considered to make monthly mortgage payments, pay for household expenses such as utilities and insurance, and maintain the property in a condition that is optimal for real estate appreciation. NAR economists and analysts compile national data to publish a monthly Home Affordability Index, which has been on a steady decline for more than a year. In the aftermath of the recent real estate crash, the home affordability ratio skyrocketed at a time when home buyers were particularly shy about making what is widely considered to be the most significant investment for most Americans. The largest metropolitan areas are the regional housing markets most affected by the home affordability downturn. These are the same areas where rental demand is at an all-time high. Home prices in cities like Denver and San Francisco are outpacing the value of rents, which is putting economic pressure on median home buyers. Mortgage interest rates may be at historical lows, and even the rising home prices are not anywhere near what they were in 2005. Median family incomes, however, have not increased at the same pace, and the cost of maintaining a home in the United States is now higher. The necessary qualifying income, a rate set by mortgage lenders, is now higher than it was during the freewheeling days of the housing bubble. A more conservative and almost prohibitive mortgage lending environment is also to blame for the drop in home affordability. Fannie Mae and Freddie Mac, the government-sponsored investors that are virtually the only major entities guaranteeing mortgages these days, are increasing their fees. This means that mortgage lenders have to pay more in order to guarantee mortgages and lower their risk exposure accordingly. Were it not for these increased fees, the mortgage interest rates would be even lower than they are today thanks to monetary policy intervention by the Federal Reserve. Experts believe that this trend is bound to continue, causing the home affordability index to keep falling.